It’s finals week, which means I have absolutely zero time to take care of holiday gifts. So for today’s DIY, I decided to whip together this gorgeous holiday statement necklace that can be made in mere minutes. 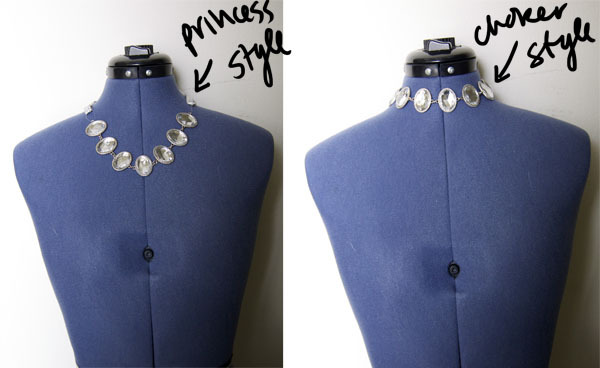 First, determine the “theme” of your necklace. Due to the season, and in the wake of the widely successful new Disney film Frozen, I decided to go for a wintery, ice queen-like necklace. 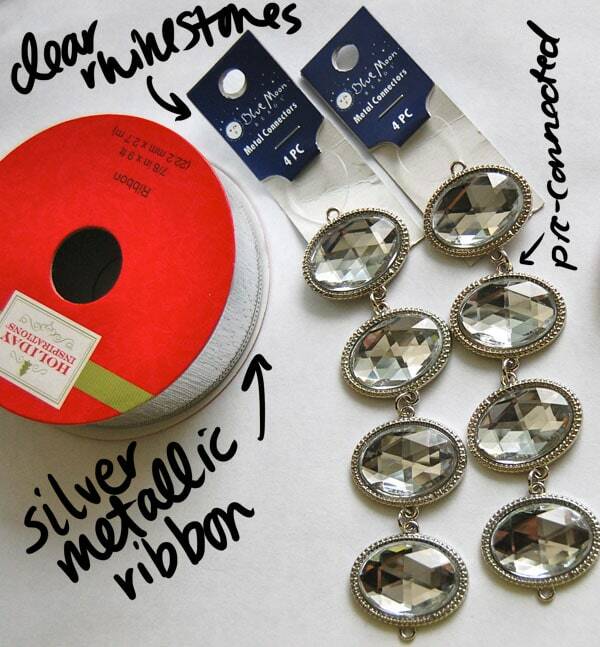 So, I chose these large clear rhinestones in a silver setting and a silver foil ribbon. 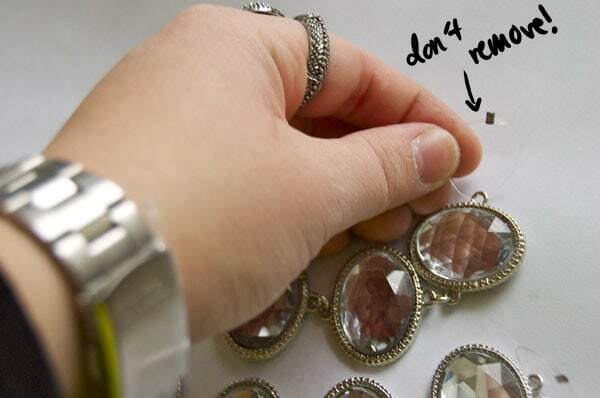 Do not cut the little clear plastic loops that the charms are strung on – this becomes important for the closure later. 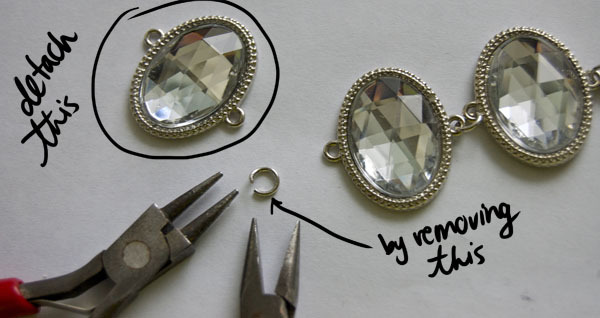 Here’s a designer-dish “secret” when it comes to making jewelry: things always look better in odd numbers. I did this by prying off the jump ring with jewelry pliers. Here’s a handy gif that shows you how to do that. To make the necklace longer, I took the jump ring that I just removed and used it to connect my 3-charm strand to my 4-charm strand. Almost finished! 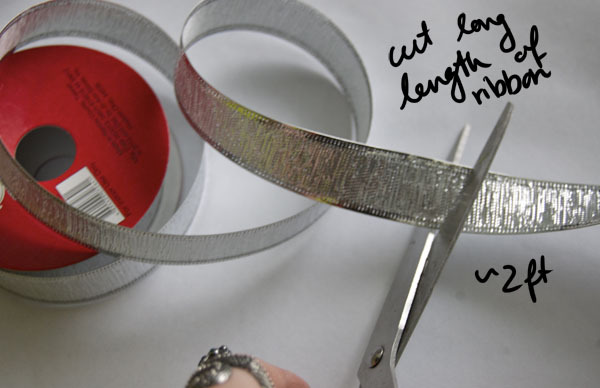 Cut a two foot length of ribbon. Loop the ribbon through both of the little clear plastic loops I mentioned in step two. 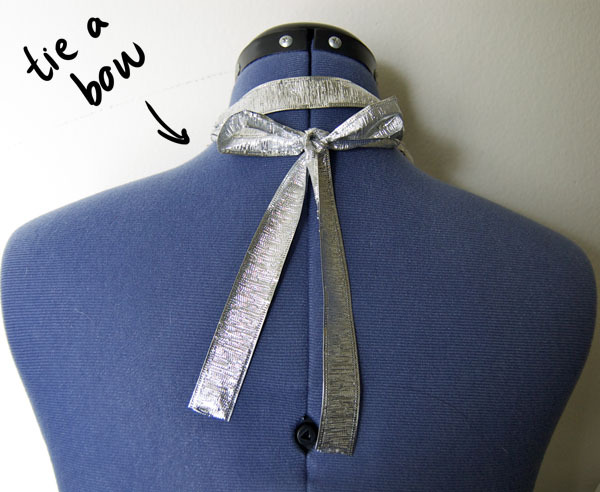 Attach the necklace by tying a neat little bow in the back. 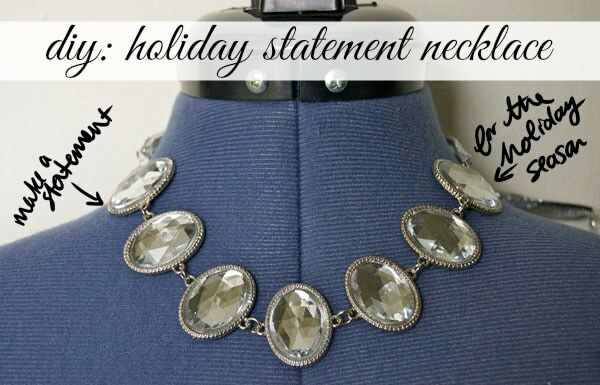 And there you have it – a holiday-appropriate statement necklace! The best part of this necklace, in my opinion, is you can alter the length by simply adjusting the bow in the back. 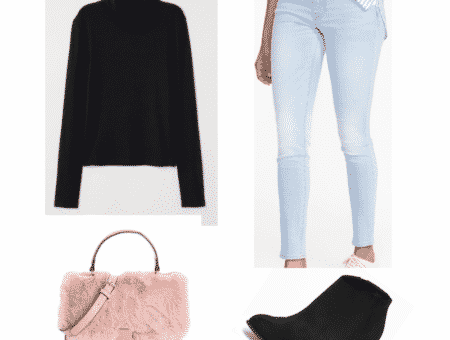 Wear it tight like a choker, “princess” style, or even a more relaxed style (like the header image). Do you like themed statement necklaces? 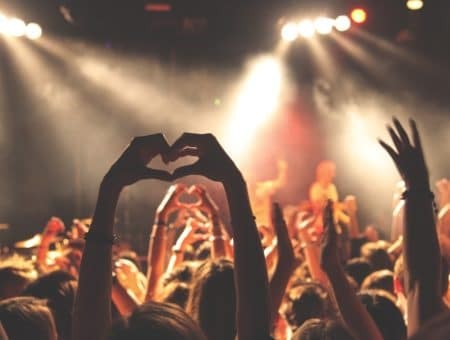 What do you think about this DIY/will you try it? 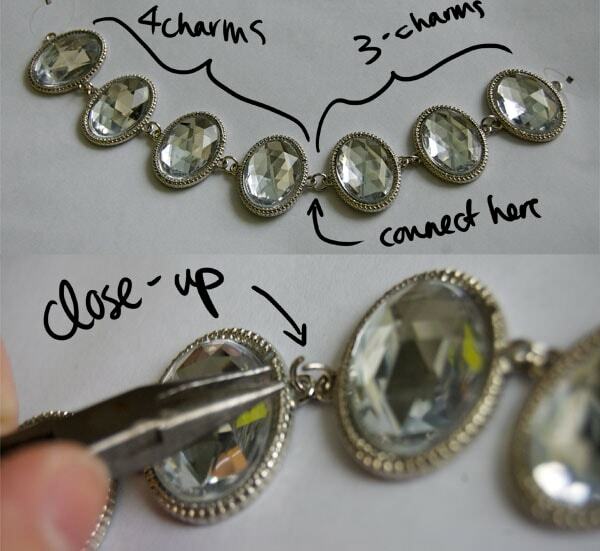 Are there any other DIYs you would like to see the tutorial for? Let me know in the comments!